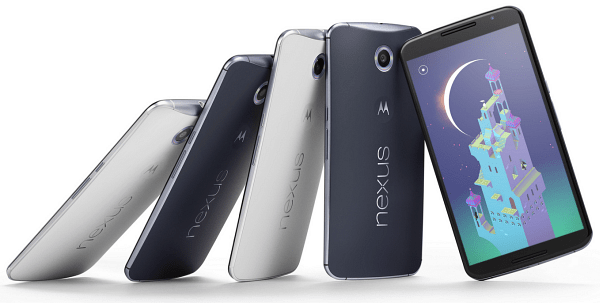 Google announced new Nexus devices and the new mobile OS Android 5.0 Lollipop. The new devices are the Nexus 6 phablet, Nexus 9 tablet, and Nexus Player. This week Google announced new Nexus devices as well as its new mobile OS Android 5.0 Lollipop. Google quietly and strategically made the announcement on Wednesday – one day ahead of Apple’s announcement of new products scheduled for Thursday. 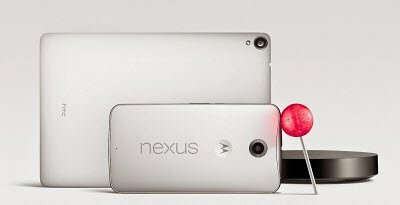 The new mobile devices are the Nexus 6 phablet, Nexus 9 tablet, and Nexus Player. Here’s a quick look at each device. Google’s latest tablet is created by HTC with a 9-inch display that comes in three colors – black, white, and sand. There will be a 16 GB and 32 GB version of the Nexus 9 and will cost $399 and $499 respectively. Google is taking a page out of Microsoft’s book with this tablet by offering a $129 attachable keyboard that’s similar to the Type Cover for the Surface. Online preorders start on October 17th, and the device will hit retail stores on November 3rd. Google is taking another shot at winning the living room space with its Nexus Player which is a set-top media streaming device as well as a gaming rig. It’s fair to compare this to Amazon’s already available Fire TV. In fact, the Nexus Player even has a voice-activated remote and a game controller sold separately for $39.99. One thing that does differentiate this from the Fire TV is you can play the games on your HDTV at home using the controller, and then keep playing them on the go on your smartphone. This device will hit the stores on November 3rd. This is the next version of the Android mobile operating system. There are several new features such as visual enhancements, a new look with its so-called Material Design, better OK Google support, improved media support and a lot more. Here’s a look at the look of the Material Design. As you might be aware, each new version of Android, Google names after a desert or candy following the alphabet. This is the “L” version so is appropriately named “Lollipop.” It was nice to see the company not go with a sponsored candy or desert moniker like it did with the last release – Android 4.4 which the company named Kit Kat, but there are plenty of more letters and we’ll probably see more of that over the coming years. For more on the next version of Android, check out Google’s official blog post on Android 5.0 Lollipop. What do you think about these new devices and will you be picking any of them up when they’re available? Leave a comment below and let us know. I’m an iPhone guy with no plans to go Google. That being said, I’ve not invested in the Fire TV or Apple TV. So…. google still has a shot to win me over with the Nexus Player. That being said, they need a much better video that actually tells me more about the device. That video is doesn’t show me anything other than it’s round LOL.